Statistics from security practices, research organizations and government administrations show that the numbers of data-leak requests have developed rapidly in recent years. Among several data-leak cases, human mistakes are one of the main reasons of data loss. There exist results detecting unplanned sensitive data leaks caused by human mistakes and to provide signals for organizations. A common approach is to monitor content in storage and transmission for exposed sensitive evidence. Such an approach usually needs the exposure operation to be displayed in confidentiality. We present a privacy preserving data-leak detection (DLD) explanation to answer the issue where a special set of sensitive data digests is used in recognition. The advantage of our technique is that it enables the data owner to safely agent the detection procedure to a semi honest source without revealing the sensitive data to the provider. We describe how Internet service suppliers can offer their customers DLD as an attachment service with strong privacy guarantees. The valuation results show that our method can support correct exposure with very small number of false apprehensions under many data-leak circumstances. R Sathishkannan, U Karthick, P Gomathi. "Privacy Preserving Data Leak Detection Using Rabin Fingerprint Method." 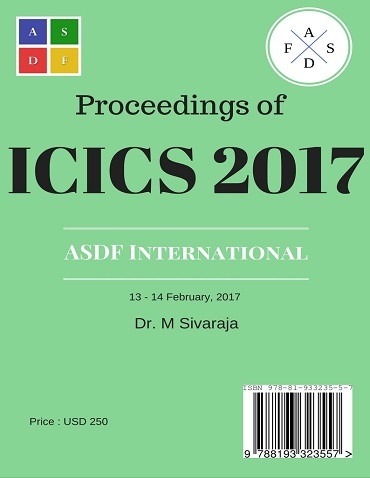 International Conference on Intelligent Computing and Systems (2017): 38. Print.